Employees from across all of the Palmers pub estate, in Dorset, Devon and Somerset, now have the chance to take part in a joint training initiative that is underway between the Brewery and Yeovil College. Courses on offer within the new national ‘Train to Gain’ programme include housekeeping, hospitality multi skills, food preparation and cooking, and hospitality supervision. It’s a great opportunity for our Licensees and their staff to help raise standards throughout the Estate. In the current difficult economic climate, training our people to offer the highest possible standards in the hospitality business is top of the agenda. To work with Yeovil College – the only Centre of Vocational Excellence in Tourism and Hospitality in the South West – is a major boost for us. Above all, by supporting Licensees with this hands-on training, we look forward to it having a positive impact on their individual businesses. Want to know more? Email: tenancy@palmersbrewery.com or call Elaine Bearpark on 01308 422396. We are a Craft Cask Ale Brewer. There is no Keg Ale in our Estate. That is why all our Licensees must be professionally trained to dispense and care for our beers. Those Licensees and their staff are at the coal face. Every day, they handle a product that’s unique to the On-Trade and only sold by professionals in a controlled Licensed environment. When it comes to dispensing quality traditional ales, both their professional reputation – and that of Palmers Brewery – is at stake. We made a major investment in equipment for all our pub cellars, to guarantee consistent temperature of the product in glass. Then, in 2007, we formed a partnership with Cask Marque, to deliver relevant training that is subsidised by the Brewery. To date, those of our Licensees and staff who have completed the course have been motivated by the enthusiasm of the Cask Marque trainers. They take this Cask Marque professionalism back to their own pub environment. Palmers Brewery achieved 100% of our estate being accredited with the BII ABCQ qualification in summer 2009. Find out more about Cask Marque. 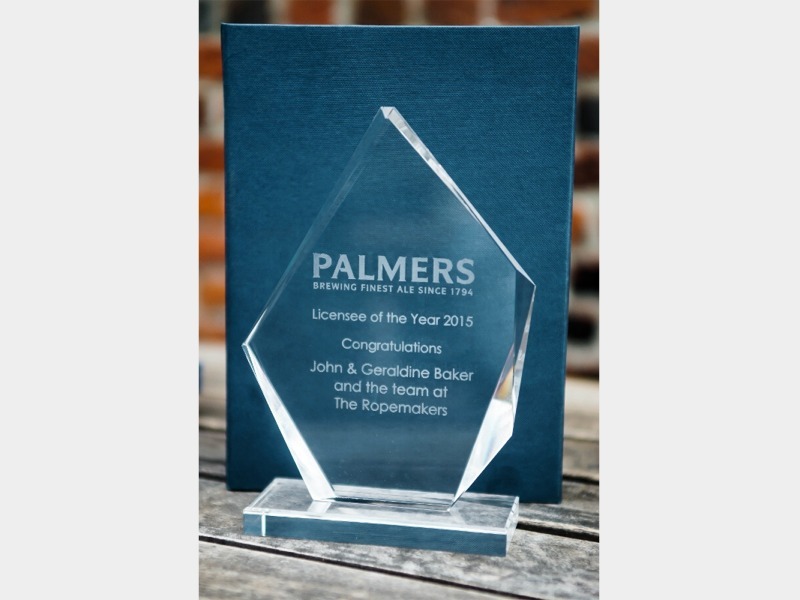 Sign up as a Licensee in one of our pubs and Palmers Brewery will offer you the chance to take part in quality training initiatives that lead to industry recognised qualifications.